2014: Released by the Alouettes on June 21…signed by the Hamilton Tiger-Cats on July 16…played 11 regular season games, starting in two, in his first season with the Ticats…had 10 defensive tackles, 14 special teams tackles, two interceptions, one blocked punt and one fumble recovery...registered his first career interception vs. Toronto on September 1 in the Labour Day Classic. Playoffs: Played in both of the Tiger-Cats playoff games, including the 102nd Grey Cup vs. Calgary…recorded three defensive tackles and two special teams tackles in the playoffs. 2013: Played 16 games, starting in three, in his second season with the Alouettes…registered 13 defensive tackles, eight special teams tackles, two fumble recoveries, and one fumble recovery returned for a touchdown. Playoffs: Started in the Alouettes Eastern Semi-Final loss to Hamilton…made two defensive tackles. 2012: Signed as a free agent by the Montreal Alouettes on May 3…played in five games with the Alouettes as a rookie…registered three special teams tackles…made CFL debut and recorded first on July 6 vs. Winnipeg. 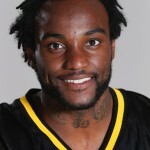 Played four seasons (2008-11) at Appalachian State…finished NCAA career with 168 defensive tackles (113 solo, 55 assisted), five interceptions and 59 pass breakups with the Mountaineers…named second team All-Southern Conference in 2009 and 2010. Born Edward Eugene Gainey on June 6, 1990 to Blanche Hope White…attended Mount Tabor High School in Winston-Salem, North Carolina…studied communications at Appalachian State.